Conceptual Design is an early phase of the design process, in which the broad outlines of function and form of something are articulated. It includes the design of interactions, experiences, processes and strategies. to meet them with products, services, and processes. Once the design has been agreed we then have the chance to create! Skyline Green offer mechanical, electrical and plumbing engineering for all types of buildings, transportation facilities and industry projects according to our clients’ specific requirements. 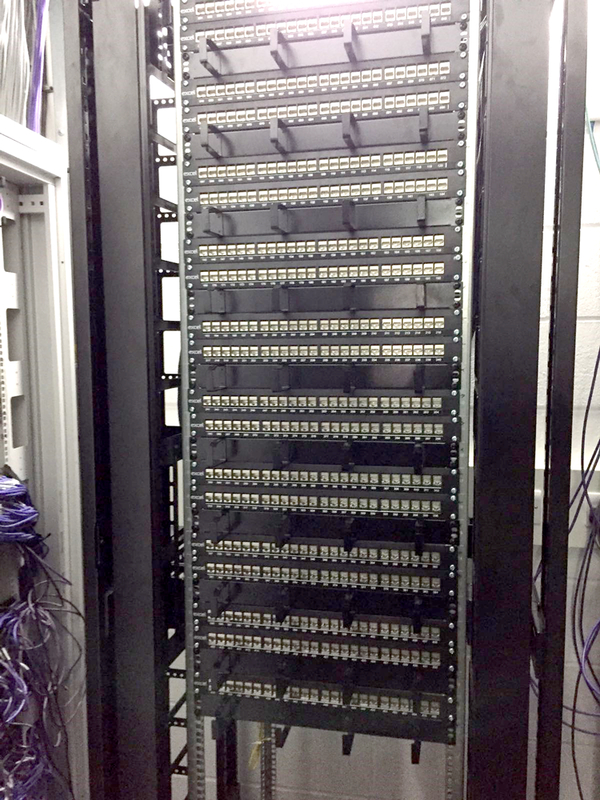 We work in close collaboration with the entire project team, ensuring optimal integration of all systems. We design buildings/spaces for clients and consult closely with building developers, owners and users to fully understand the purpose of each space. We create attractive, environmentally responsible, high-performance buildings that are safe, healthy and comfortable for occupants, while being easy to maintain and less costly to run. We ensure that our buildings meet today’s requirements while having the flexibility to adapt to future needs. 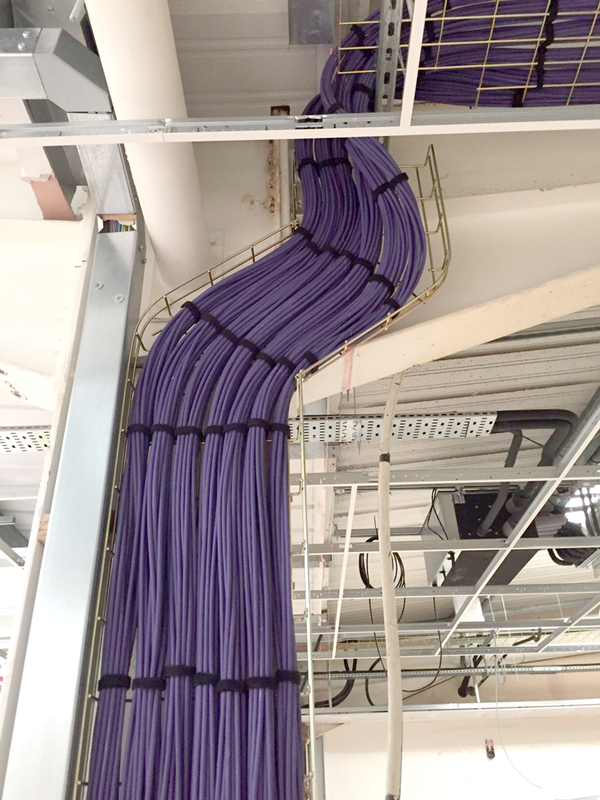 Our knowledge allows us to work on buildings in all sectors, ranging from complex office environments and retail centres, to banks and educational establishments, from residential developments to laboratories and data centres. We have extensive experience in buildings services engineering for automotive facilities and we have designed some of the most complex systems for our clients. 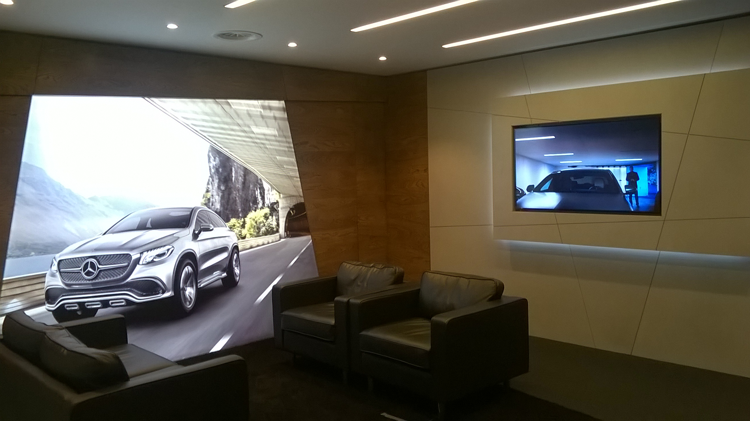 We transform the inside of any office, retail or leisure space. 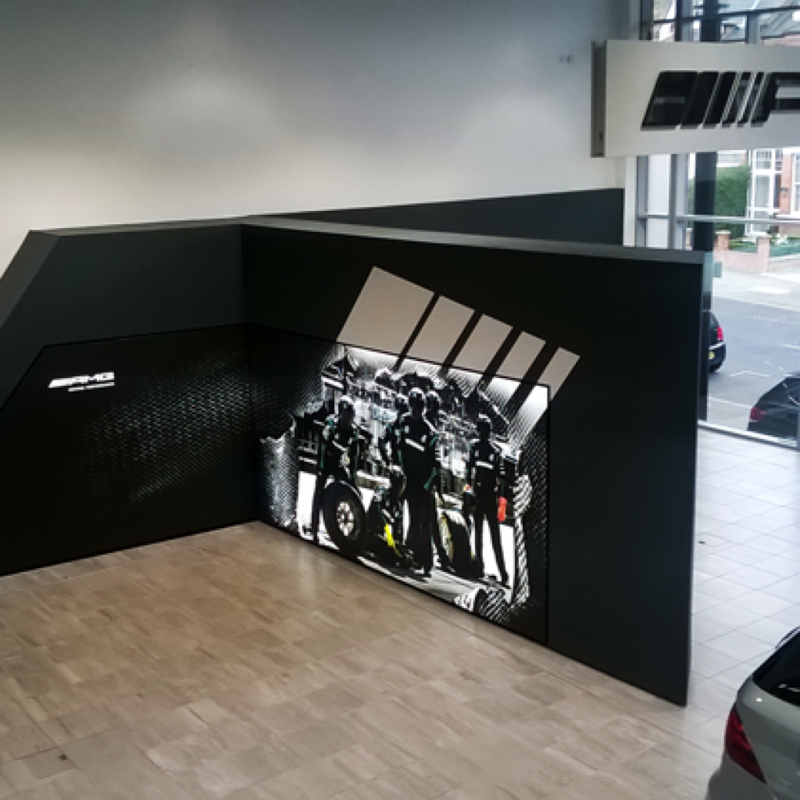 You can rely on Skyline Green to deliver your fit out, right first time, on time and on budget! 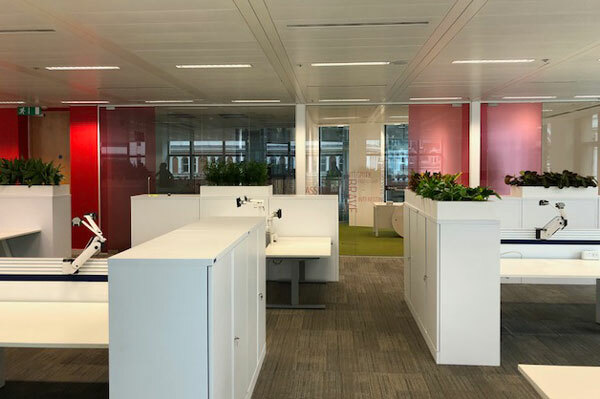 We’re a leading office fit out and refurbishment specialist. 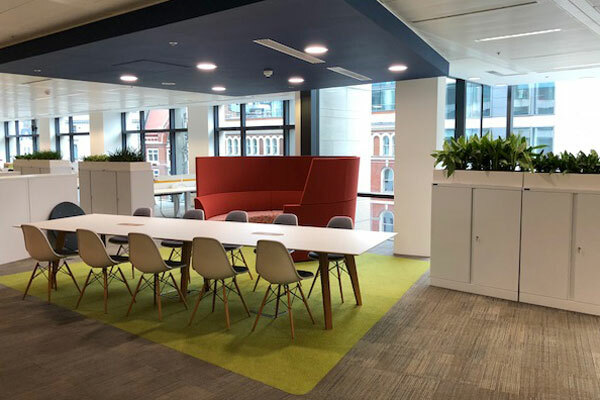 In the last five years alone, we’ve worked on 100’s of office fit out projects, spanning across the UK. We tailor our approach for every client. 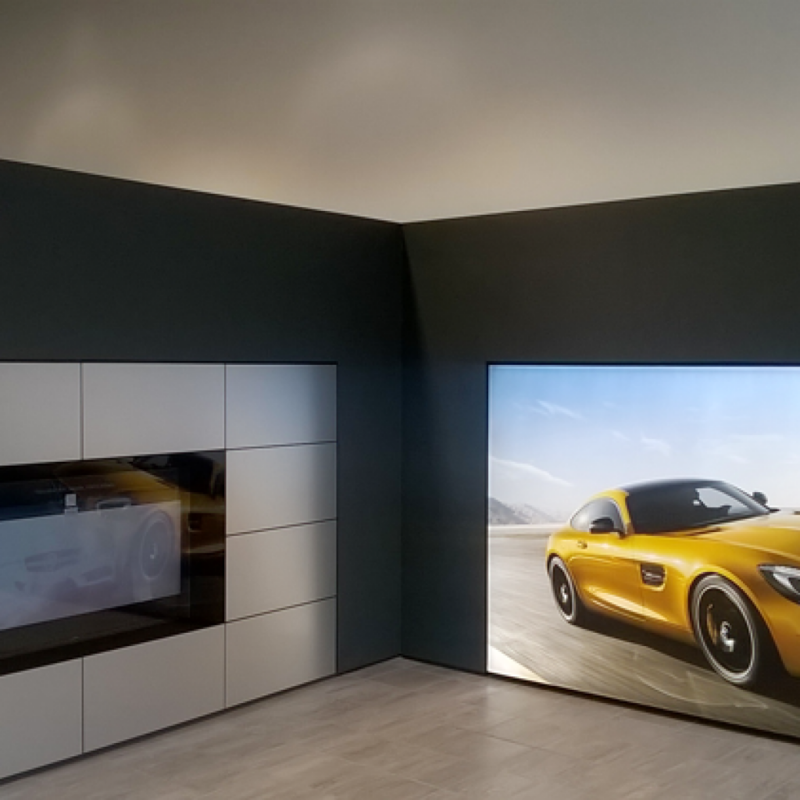 We know that no two projects are ever the same A fit out for a new city centre office needs a very different approach to refurbishing within the automotive sector or heritage projects! 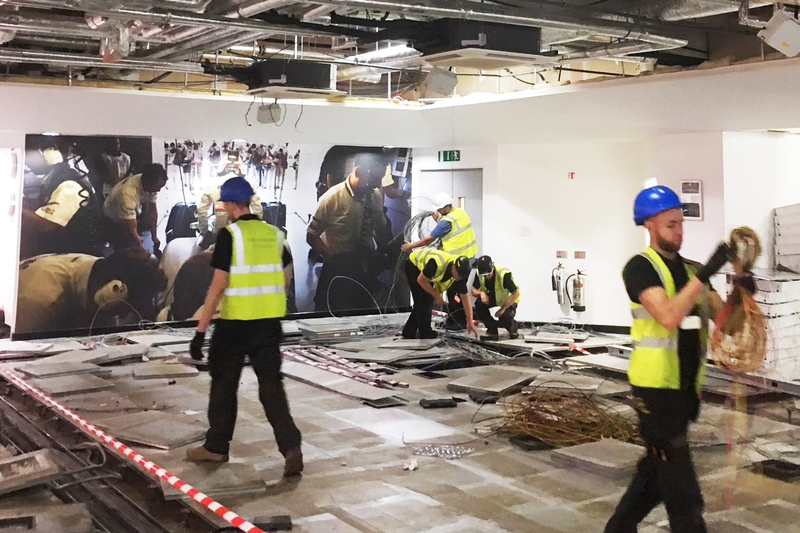 So, whether it’s a Cat A or B fit out, heritage refurbishment or a framework of offices that requires consistency across the country – we will support you! Mobilise and manage all sites safely in a clear, concise manner emphasising through, collaboration and mutual benefit. Quality is a priority at Skyline Green. It is considered at every step. Direct access to specialists allows for further improved and fresh thinking, innovation and certain value engineering. The ultimate flexibility and ability to spend as much time as practicable during the design and procurement phases also means that there is more control over the end product! Our construction professionals work to understand each client and their team and work to achieve the ultimate end goal. Supported by their senior management team we can adjust and adapt to any situation. As experts at engaging from day one, our team is best placed to support you anytime, any day and anywhere! We work on a ‘right-first-time’ ethos and our professionalism is just one of our key strengths. We believe one of the main reasons our customers choose us is that we work honestly and transparently. If we send you a quote it will be immediately clear exactly what we are quoting for line by line and every single element is itemised. We know this doesn’t happen if you work with many of our competitors. We’re experts in our field yet we make things simple. Skyline Green quote to go here from a company they have done an office refurbishment for this will link to portfolio. We are always here for you and our personalised service is tailored to fit around your business staff and working hours! Let us do the hard work for you so you don’t have to! Move your furniture, filing, storage, stock and general office equipment and pack, move and unpack your computers safely and securely? Decommission and reconnect desktop computers and server equipment? Dismantle and rebuild your furniture and racking and take down and reinstate wall mounted items such as TV monitors and whiteboards? Provide a dedicated or assisted packing service for bulk filing/storage and breakable items? Clear and recycle your redundant furniture and dispose of paper rubbish? Provide a dedicated move manager to work alongside your project team to lead or assist with preparation for the move? Securely store surplus furniture and equipment? Our guarantee is that we will provide the best service and take the greatest of care to you and your team! 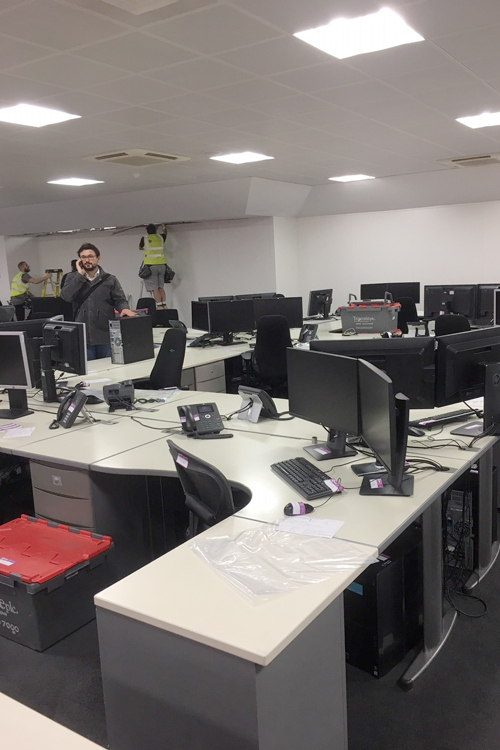 We have completed office moves of over 500 staff in one weekend! 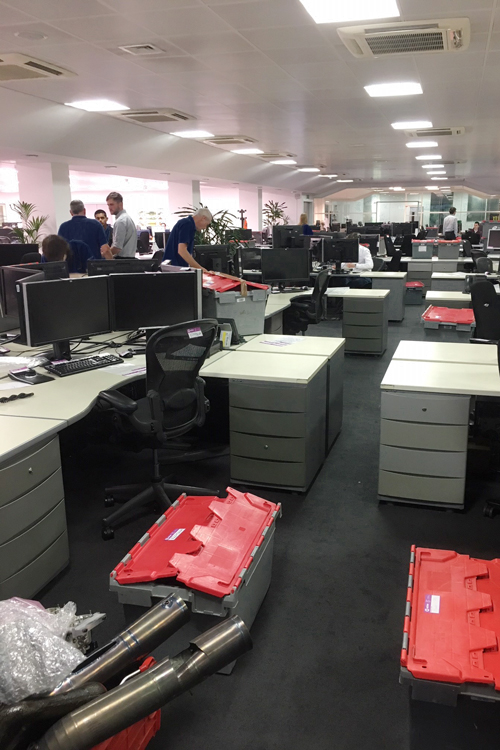 We offer a range of office removal services to help companies relocate to new premises or manage internal moves. Create new offices, meeting rooms, production areas and corridors to maximise your space productivity. 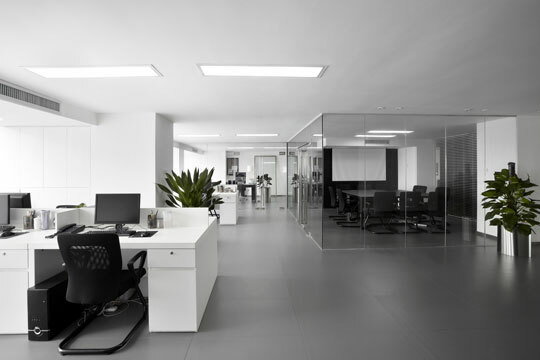 Partition walls can be used to create new rooms inside your building with ease. 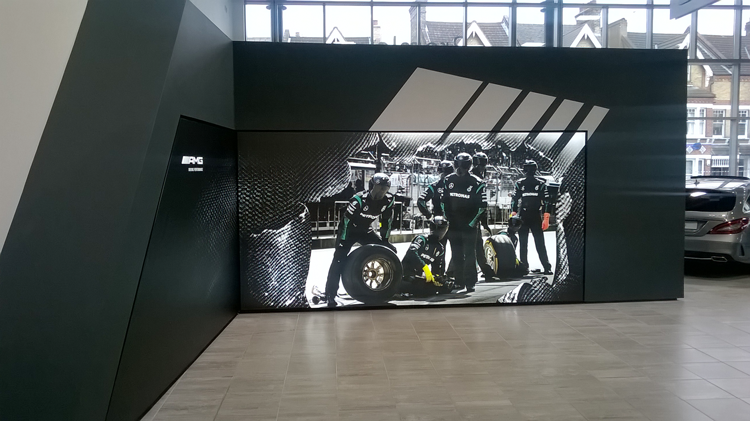 We have a range of wall constructions and finishes that can be modified to suit your business need. 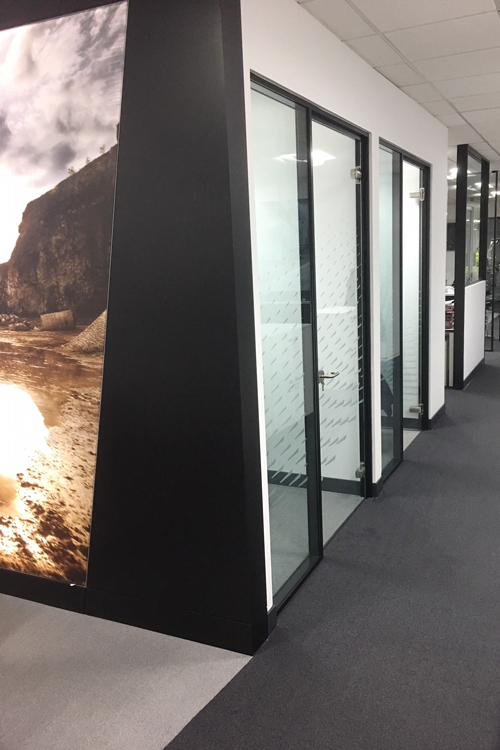 Utilising glass in an office environment gives a lasting impression to visitors, customers and staff. Various forms of manifestation can really liven up the space! 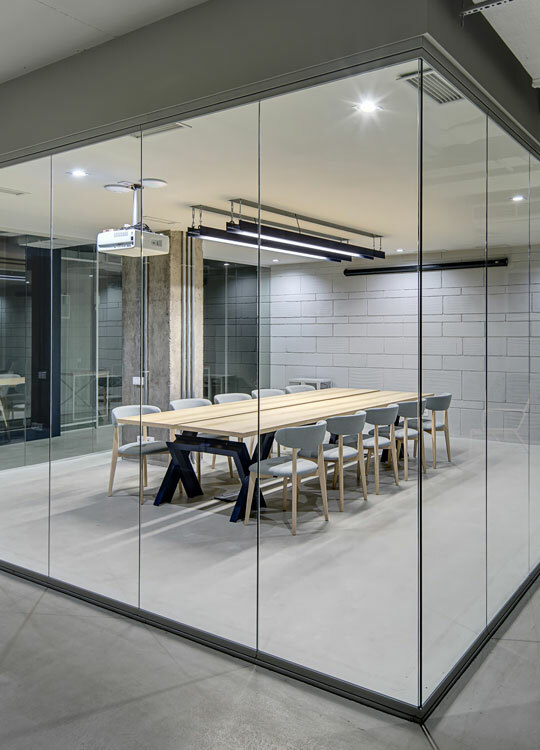 The main benefit of glass partition walls is to create a more open plan feel in a office or commercial space. 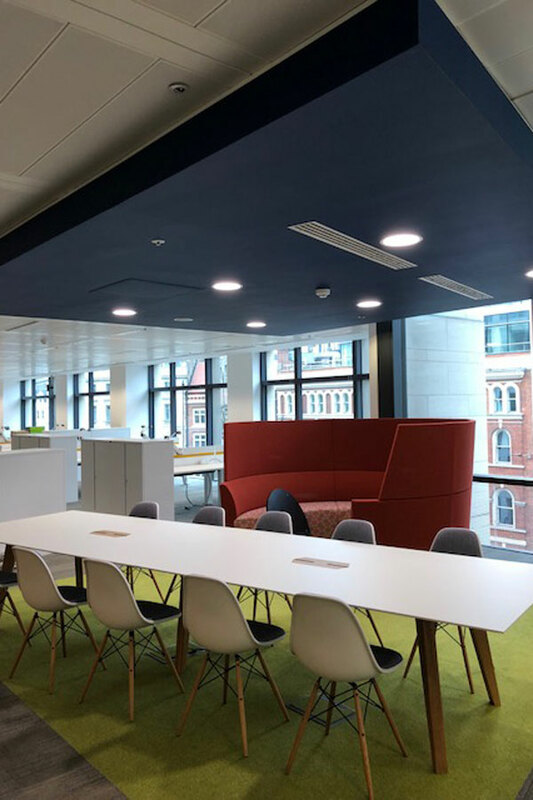 Whether you require a ceiling for your office space, meeting room, staff areas, canteen, warehouse or clean rooms we can suggest the perfect ceiling solution. Using our expert knowledge we recommend which ceiling system would be best suited to the room function. Stylish furniture finishes will make your office, reception or breakout area compete with the best! Whilst also adding comfort and hidden storage facilities. We offer a full furniture specification design service including area space planning through to installation. 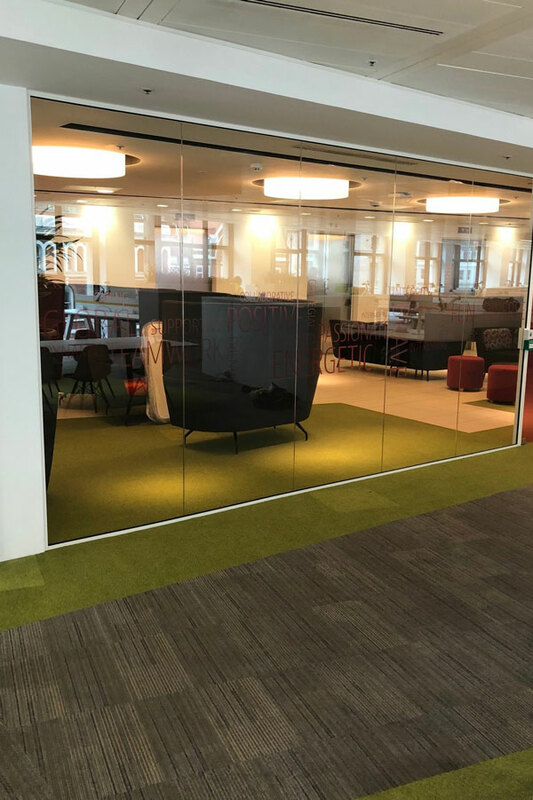 As a part of a commercial refurbishment or fit out, Skyline Green provide flooring designs, space planning and install of various floor finishes including Shaw, Kandean, Camaro, Interface, Amtico, Stone/Marble and tiled along with many sheet material finishes. 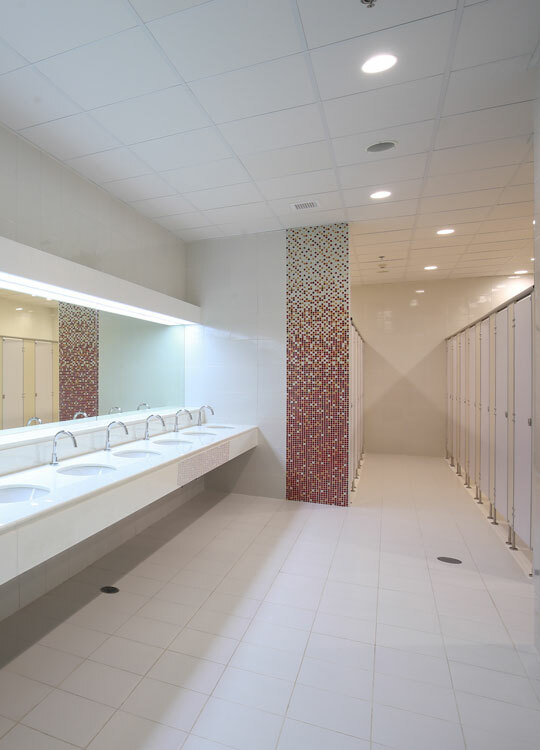 Washrooms, WCs, shower rooms and changing facilities can be a key element for any commercial business including offices, schools or hospitals. We offer an excellent “turn-key” package to our clients. Using the best materials that are sustainable and long lasting we can support you to design the space for sanitary ware, basins, showers and cubicles. A kitchenette, kitchen or large break out canteen area? 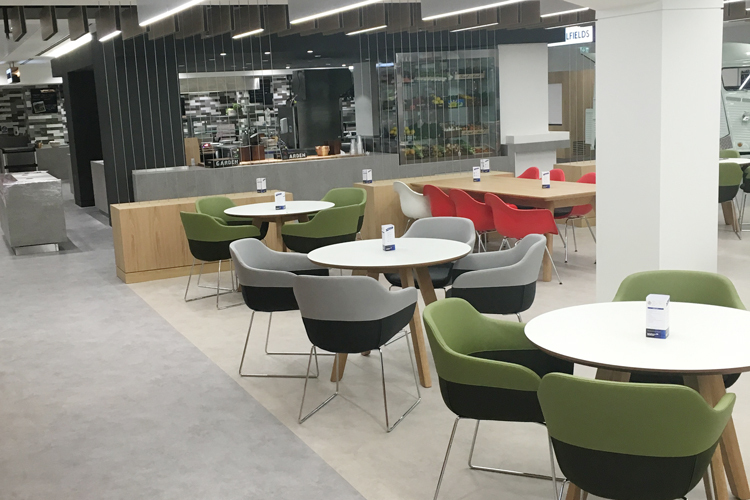 No matter what your choice we can design a space which gives your business the most effective use of facilities. We offer an excellent “turn-key” package to our clients. Using the best materials that are sustainable and long-lasting from tiles to stone for worktops and walls or appliances to furniture to finish off the room. 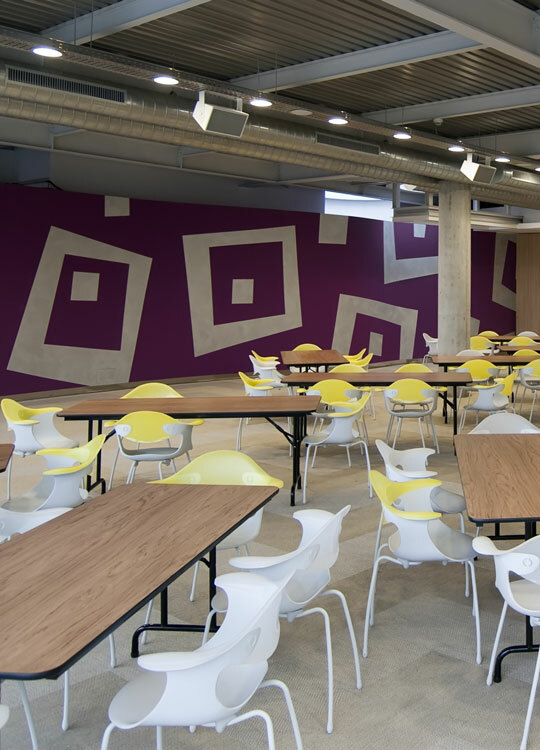 Our decoration team can cover all your commercial decorating requirements; plastering, tape and jointing, painting walls and ceilings to any colour of your choice. Our services extend to providing polished concrete floors to 6000m2 painted/resin warehouse floors! 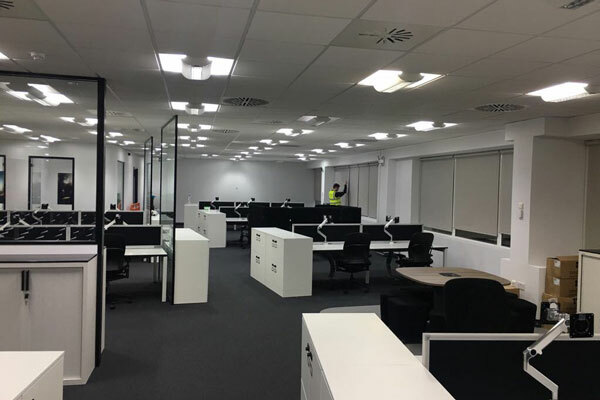 Do you require a change in the configuration or framework of your building or system or an essential design change to an existing space? We specialise in forming structural openings in existing buildings. 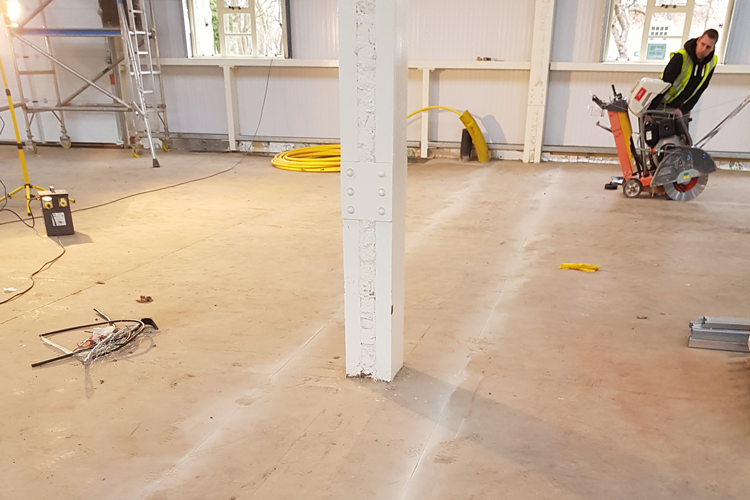 We will install temporary works, carry out controlled demolition, fabricate and install structural steelwork and make good the existing structure once all the temporary works have been removed. You know it makes sense with one company taking full responsibility for surveying, fabricating and installing your structural steelwork. Skyline Green has the experience and resources to facilitate any structural alterations that may be required to transform buildings to support business need and requirements. 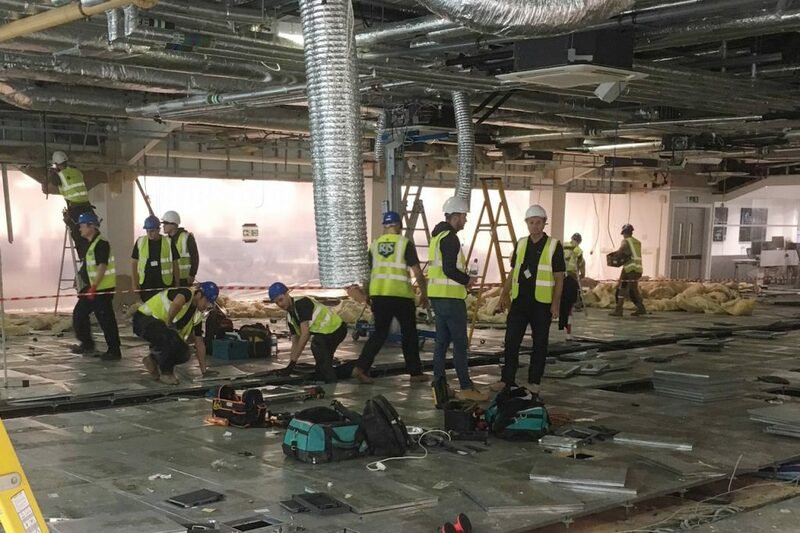 We have and continue to successfully deliver a number of ‘cut and carve’ projects which involve forming new openings to re-structure the internal layout of the building. 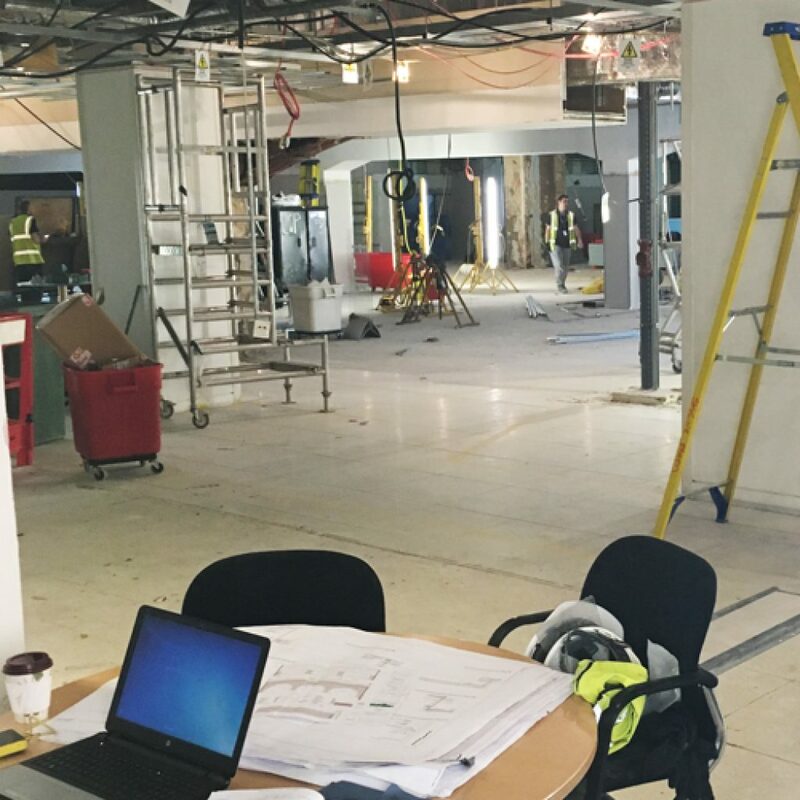 Using specialist techniques such as diamond drilling and saw cutting, our teams can establish new openings for doors, lightwells, ducts and risers to implement the structural plans devised by our architect.